Alliance Interactive offers a free, no-obligation consultation to prospective clients. This time gives business owners and managers a chance to share their challenges and goals while learning how Alliance Interactive can help them. 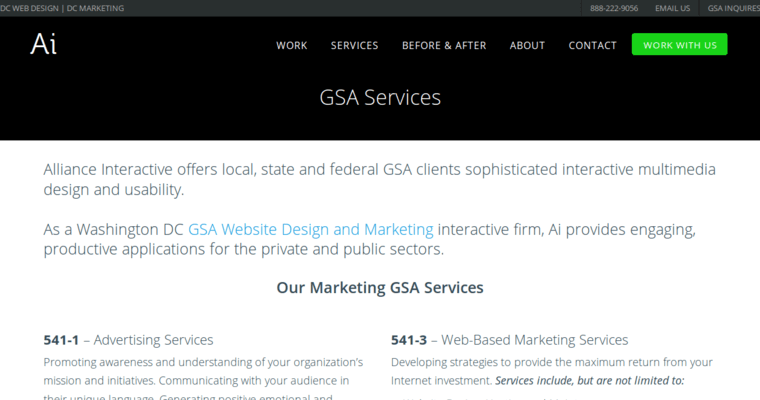 the company is based in Washington, D.C.and offers a full range of search, digital, web design and support services. By getting to know clients before going to work, Alliance Interactive can create custom proposals that may include one or more of their available services. For instance, the firm can create online marketing campaigns that make their clients' brands more visible to their target market. Also, the firm has programmers, developers, and designers who can create innovative and unique websites that stand out. 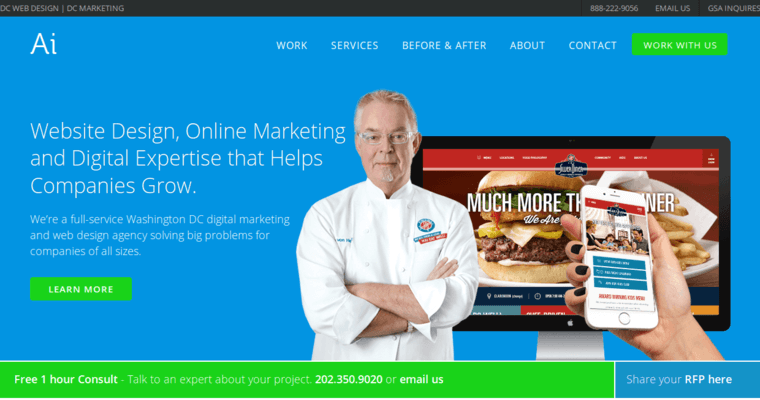 Strategies designed by Alliance Interactive may also include content creation and management services that can reduce the time clients spend updating their website. Alliance Interactive is a results-focused firm that puts clients first.